This is truly a luxurious brush. And boasting a plume of super badger hair a top grade from the pelt. The handle being a high end acrylic is larger too for maximum control. 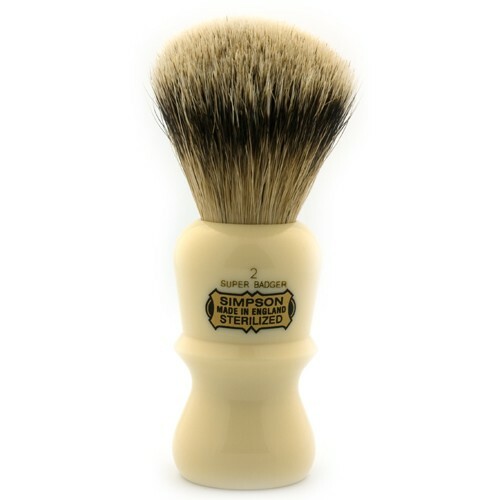 Simpson’s are a prestigious english company it feel’s great to own one of there brushes. Is the Ruler of the shaving cabinet.It is a wet shavers dream. The Highest grade of badger is used being that of the neck and head of the animal. 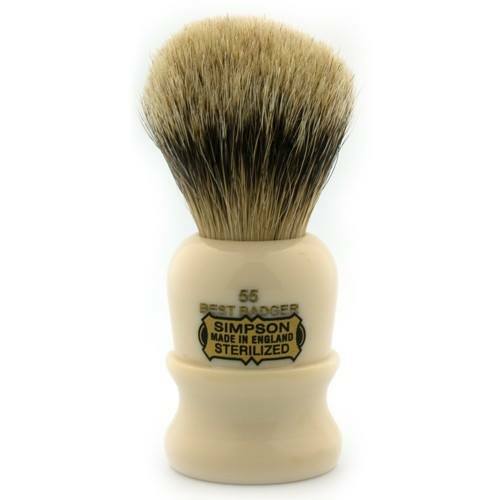 I have sold simpson brushes a long time due to there excellent reputation. 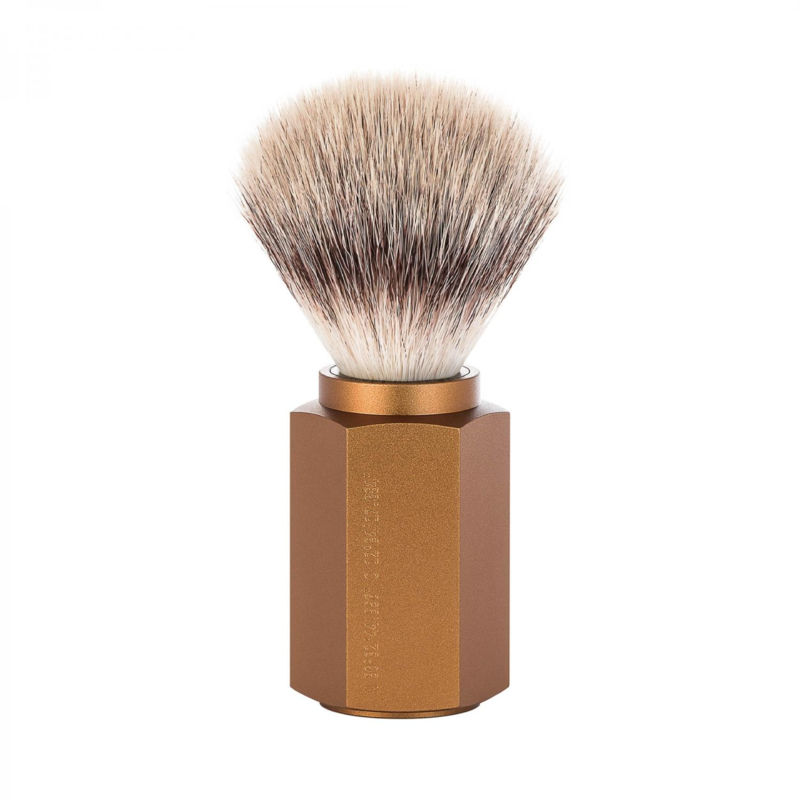 The Silver tip badger brush is said to create the airiest warmest lather. Professionals and connoisseurs alike also use silver tips, for the above reasons. 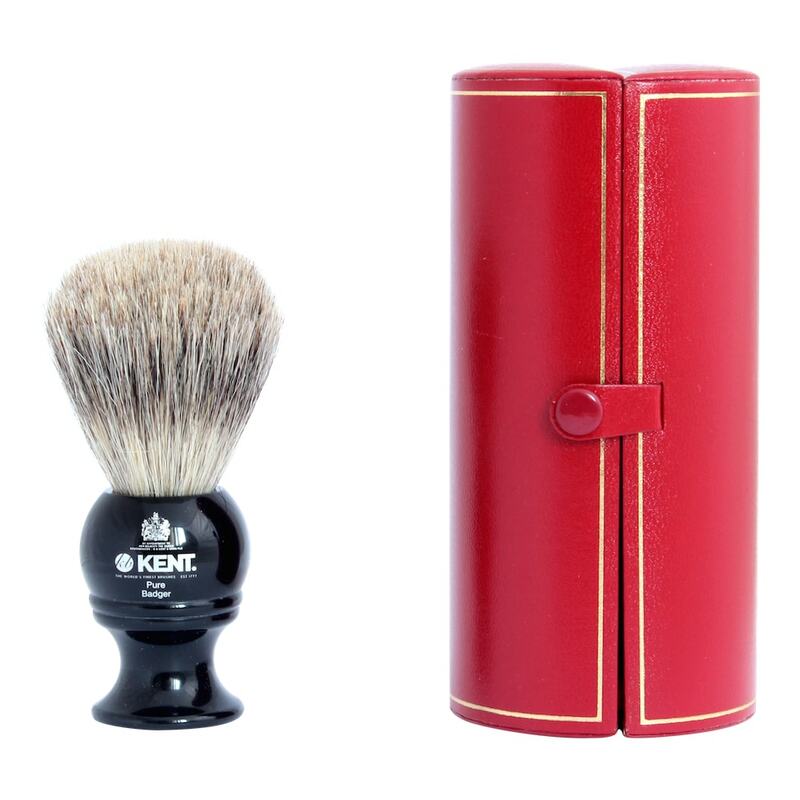 An array of hair is used for shaving brushes globally. Including wild boar, cheetah, and panther,the arabian horse is widespread in asia. But the English have always used the badgers hair. 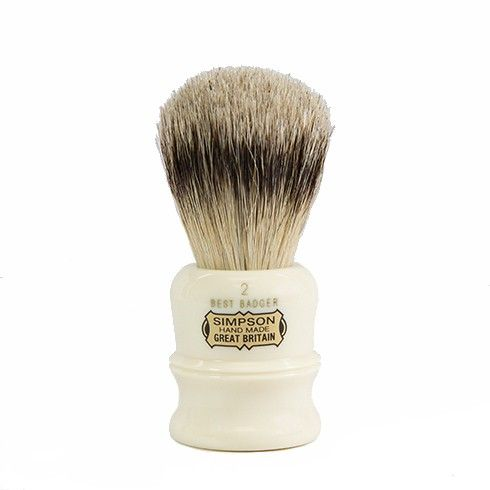 In practice I recommend immersing the Simpsons Emperor super badger shaving brush in your sink. until a lather ensues throughout the brush then apply to your boat race in a similar manner. Always rinse your brush and leave it to dry in a upright position. Remember if you maintain your brush it will last 10 years. Traditional shaving is an enjoyable process. A masculine ritual that gives a man the time necessary for him to contemplate his greatness and compare it to his great role models ie Horatio nelson, Scott of the Antarctic, John Rambo,Carl Jung, Jacob Epstein,Wyatt Earp,Dutch schultz,Nicholas Hawksmoor,Lance Henriksen,Lenny Mclean,Jack Dempsey.